This release of ESHA Port – our workflow utility for exporting and importing database files for the Genesis R&D Foods and Food Processor programs – incorporates many improvements and features to make data sharing easier across different platforms. The interface has been redesigned with the same look as Genesis R&D Foods and Food Processor. All ESHA Port controls have been incorporated into the ribbon for easier access. In addition, when exporting labels from recipes you will now see a new check box, making it more obvious when you are exporting a label. In Genesis R&D Foods, Advanced Labels can now be exported using ESHA Port. This allows the export of both the ingredient/allergen statements into a text file and the label image. 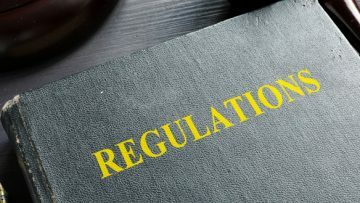 With the new FDA Nutrition Facts Label regulatory changes, manufacturers need to make the process of getting supplier data in Genesis R&D Foods a faster and easier. To assist in this process, we have created an Ingredient Import Template (an Excel spreadsheet). These templates can be used a few ways. ESHA software users can easily transfer files amongst other ESHA software users. If both supplier and customer own Genesis R&D and ESHA Port, suppliers can batch export their data. 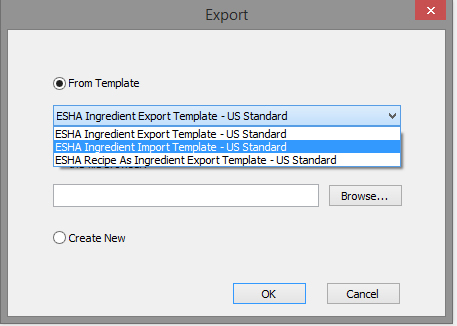 The ESHA Port templates also provide ingredient suppliers an additional level of protection for their proprietary information, as they can export a recipe as a single ingredient rather than a list of the ingredients therein. 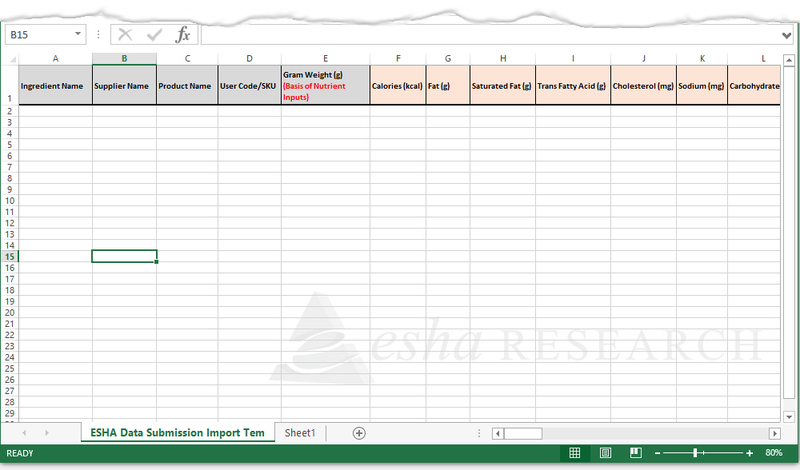 If your supplier does not own Genesis R&D or ESHA Port you can provide the excel template to your ingredient suppliers to fill out. Once the data is populated, users can import the data into Genesis R&D with ESHA Port. Give the Excel spreadsheet to your ingredient supplier. The supplier enters each ingredient into rows with corresponding nutrient data and fields, and returns the template back in a format already mapped to the ESHA default “Ingredient Import” settings. The template gets returned from the Supplier as an Excel document (.xlsx file). However before ESHA Port will import it, it will need to be opened in Excel, and then Save As a Tab Delimited file, with the extension of .txt. Using ESHA Port, select Import and then navigate to the .txt file created above. Click Execute to import the records into the Genesis database. To learn more about using the ESHA Port workflow utility view our archived webinar titled, Importing Supplier Data Using ESHA Port.